Juicing is all the rage amongst health nuts and average folks alike at the moment. You don’t have to be a millennial hipster to reap the benefits of this healthy habit. We’re more conscious than ever of nutrient deficiencies and the health issues that can accompany them. Inflammation in your body, like every aspect of your health, can be influenced by your diet. Certain fruits, veggies, herbs, and spices are believed to help curb inflammation levels, not to mention help you feel your best. One of the easiest ways to get your daily dose of nutrients is by juicing. Let’s start by covering what inflammation is and some of the causes for inflammation. Then we’ll talk about some fresh anti-inflammatory juice recipes that can help you reduce inflammation and feel better all round. Inflammation, as defined by the Oxford dictionary, is a localized physical condition in which part of the body becomes reddened, swollen, hot, and often painful, especially as a reaction to injury or infection. There are two types: acute and chronic. Acute inflammation is a perfectly natural immune function and a very helpful one at that. If your body is injured in any way (for example, a cut or a sprained ankle), an acute inflammatory response takes place. This allows the body to fight infection and help heal itself. Chronic inflammation can be damaging to the body since the inflammatory response continues for a long time. This type of inflammation occurs frequently alongside other diseases like asthma, tuberculosis, and ulcerative colitis. Chronic inflammation can cause fibrosis, or the scarring and thickening of tissues. It can also cause the destruction of body tissues and even death of cells and tissues. Chronic inflammation is a potential sign of several autoimmune diseases. Inflammation can occur in absolutely any part of the body, whether it’s due to physical injury to the tissues or an infection. Your immune system is active throughout the entire body. This means that inflammation can occur anywhere. Redness, swelling, heat, pain, and the reduced function of a body part are all symptoms of inflammation. When your knees hurt after a run a few miles or your throat hurts when you have bronchitis, the discomfort is likely due to inflammation. Much of the time, over the counter NSAID pain relievers like ibuprofen or naproxen work very well to treat occasional inflammation. Swelling and pain is reduced by these medications. However, overuse of NSAIDS can hurt your body. Side effects include GERD (gastro esophageal reflux disease) and stomach ulcers. So, only use them if you really need to. The rest of the time, why not try some natural remedies? 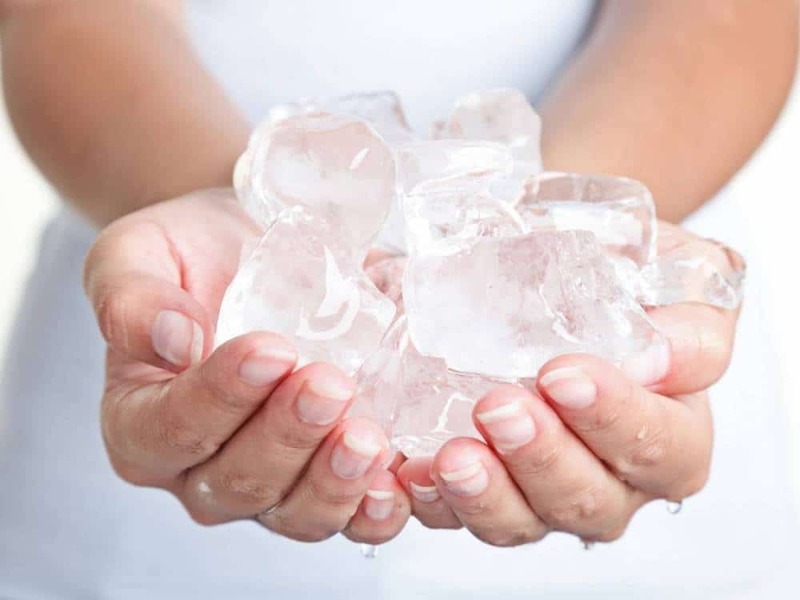 You can help reduce inflammation naturally by applying ice first and then heat to the area. Staying hydrated is also important in combating inflammation. Diet too, can be an effective way to help with inflammation on your own. We’ll discuss how below. If you feel you’re experiencing a health issue, it might be time for a check-up. Your doctor will be able to determine the best course of treatment. Before making any major changes to your diet, you should check with your physician first. Juicing is a great way to nourish your body with tons of vitamins, minerals, antioxidants, and other good for you substances like phytonutrients (plant chemicals). Though juicing isn’t necessarily healthier than eating whole fruits and veggies, it makes it a lot easier to consume them. There are many fruits, veggies, roots, herbs, and spices that are great for reducing inflammation in your body. Put together a tasty combo of the ingredients listed below to create the perfect healthy beverage for you. Turmeric is a spice created from the root of the turmeric plant, though the whole root is often used in juice recipes. 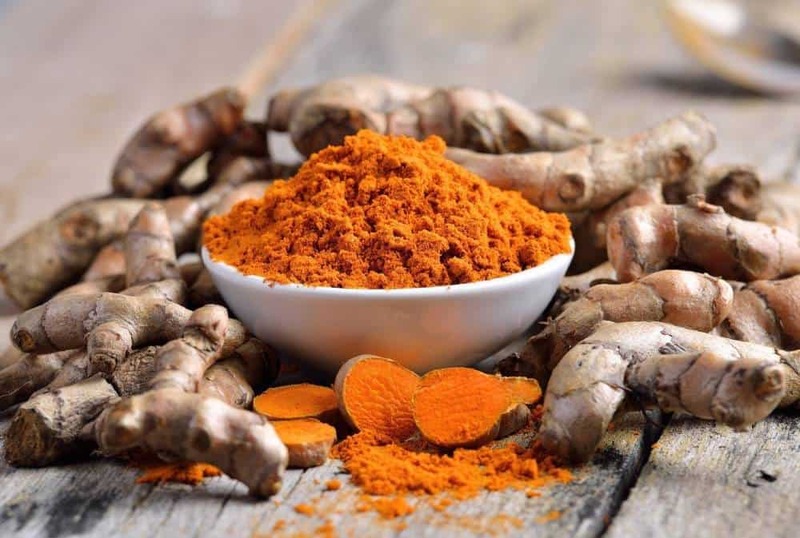 It contains curcumin and many other compounds that help reduce inflammation. When even Western medicine is willing to entertain the idea that a plant can help, you know it’s the real deal. Ginger root is proven to help with many health issues (i.e. nausea, pain) and is frequently used in juice recipes since it tastes great, too. The flavor of ginger pairs well with both sweet and savory flavors, making it an effective and delicious juice ingredient. 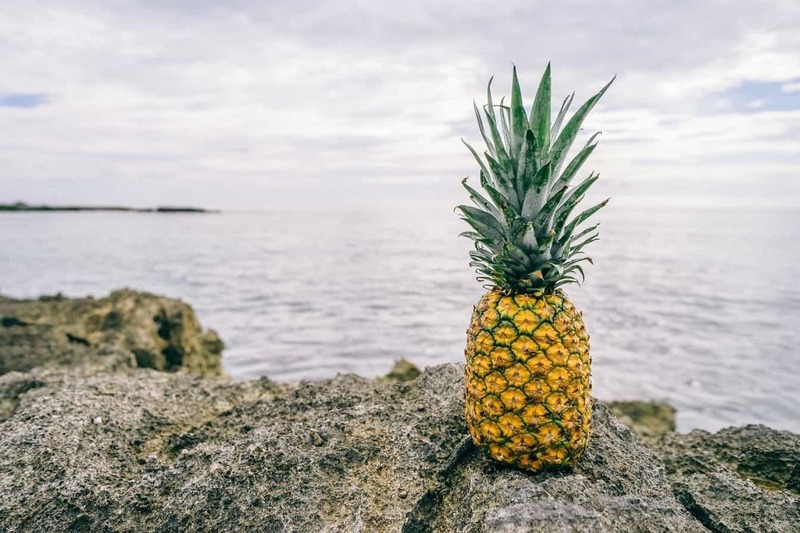 Pineapple contains the compound bromelain, a natural anti-inflammatory, plus plenty of fiber, B vitamins, and vitamin C, all of which contribute to the reduction of inflammation. Both sweet and tangy, it is an ideal addition to your healthy juicing regimen. A study at Oregon Health and Science University showed that tart cherry juice used by athletes resulted in lower inflammation levels and less soreness. Try it at home in your own juice concoctions! 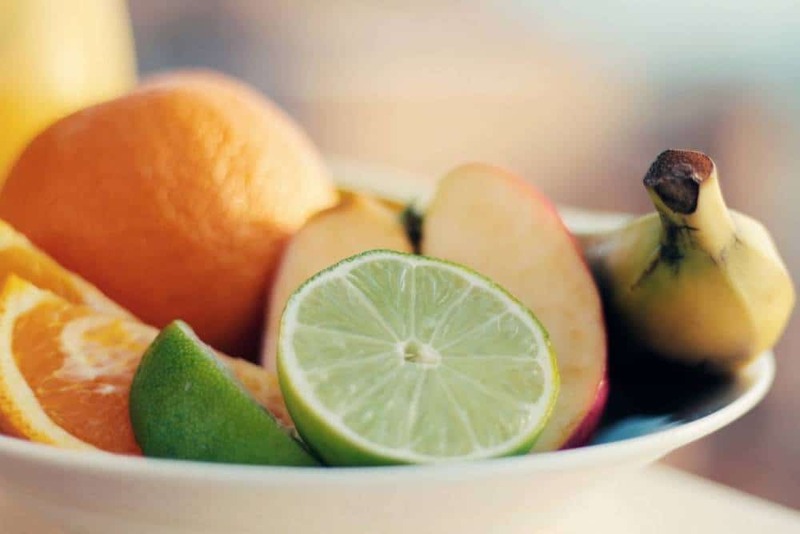 Citrus fruits like lemons, limes, oranges, and grapefruits have been proven to be full of antioxidants that help your body eliminate environmental toxins. They have also shown to be anti-inflammatory. Packed with vitamin C and other health-promoting compounds, they’re perfect for your juice recipe. The antioxidants, vitamin K, and vitamin A found in celery may help reduce inflammation. The crisp flavor, high water content and low calorie nature of celery juice make it an ideal addition. Cabbage, whether it is a red, Savoy, Chinese, or green variety, is high in antioxidants that have been proven to reduce inflammation. 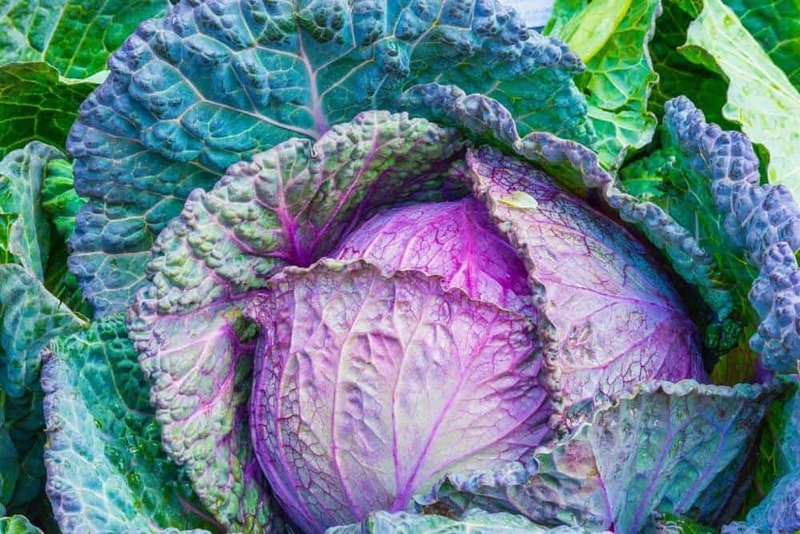 Red cabbage adds great color to juice and contains the highest levels of antioxidants, while Chinese and Savoy varieties contain the most anti-inflammatory compounds. Spinach is a widely used juicing ingredient, and it’s easy to see why that’s the case. High in many vitamins and minerals that are helpful in reducing inflammation like vitamin A and magnesium, spinach also contains antioxidants. It’s also very juice-able, with its mild flavor and top notch nutritional value. Another veggie high in antioxidants, broccoli is a nutrient dense juice addition. Since enhanced inflammation is thought to be related to nutrient deficiencies, these tree-shaped stalks may help with a large dose of vitamin A and vitamin C.
Tomatoes are high in lycopene, a compound that has been proven to reduce the risk of inflammatory diseases. Their mild flavor and bright color make them a fantastic juice blend component. If you’re looking to create a bright, sweet juice aimed at reducing inflammation, beets should top your list of veggies to add. 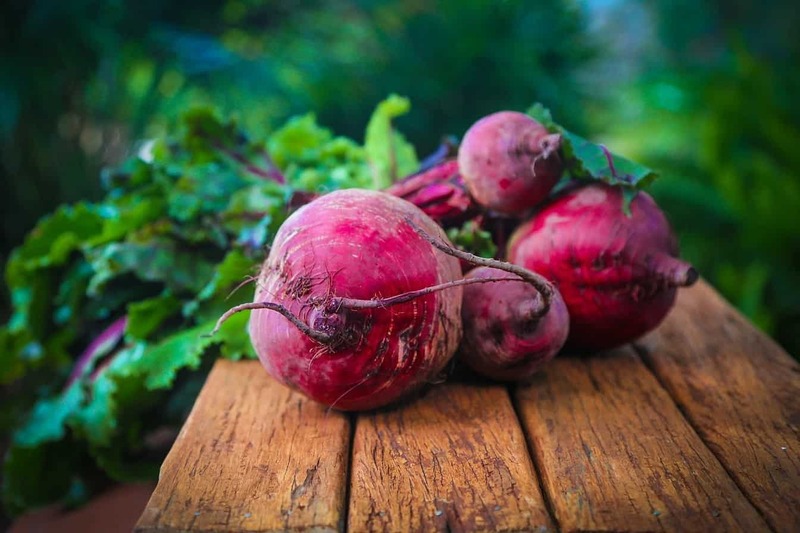 They contain betaine, a compound thought to help with many health conditions, including inflammation. Both the greens and root are edible, so no part of the veggie goes to waste. It’s common knowledge that berries are high in antioxidants. They are also high in polyphenols, which help regulate inflammatory responses. Sweet, tart flavors and bold colors add to their desirability when it comes to juicing. 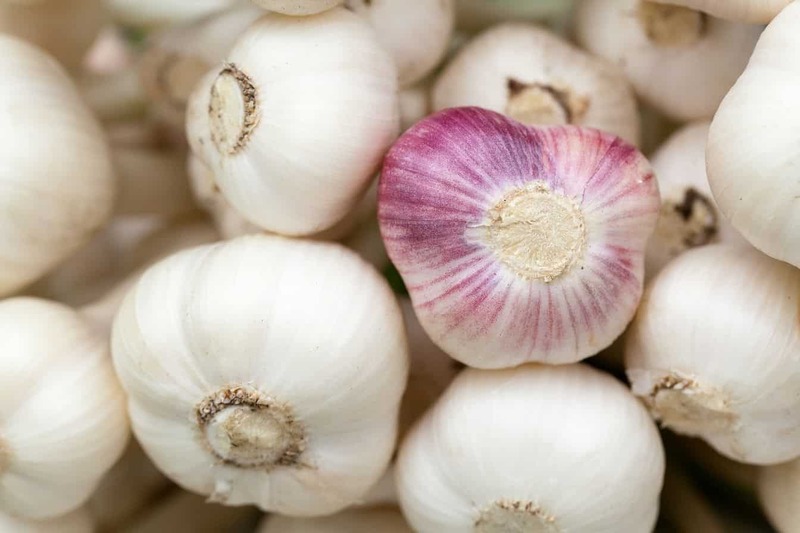 A pungent relative of the onion, garlic has long been touted for its health benefits. Studies have shown it may be effective in treating inflammation of the digestive system caused by IBD (irritable bowel syndrome). The strong flavor of garlic may make it difficult to incorporate into juice, so balance is key. Carnosol, a plant chemical found in parsley, has shown preemptively in studies to reduce inflammation. Parsley is popular culinary herb used often times as a garnish. The nutrient dense herb is a great addition to your inflammation busting juice recipe. Peppermint leaves are more than a cocktail garnish. Mint can add a unique, anti-inflammatory twist to your juice blend. 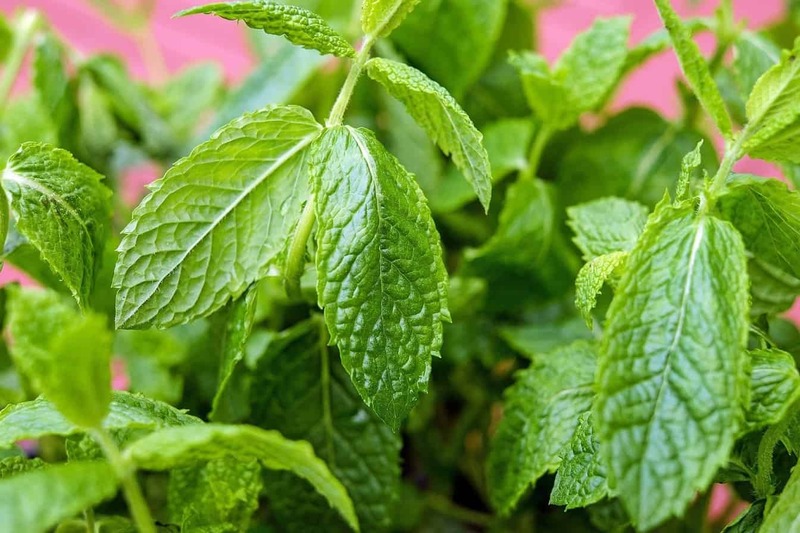 Menthol, the component in peppermint that provides the cooling sensation it’s famous for, has numerous health benefits. Using some of the most powerful natural anti-inflammatory substances, you can create juice recipes to help soothe what ails you in combinations that suit your palate. While juicing definitely isn’t a substitute for proper medical care, I bet no doctor will disagree with upping your intake of good nutrients. The items you need to begin juicing are minimal. You’ll need fresh ingredients, a juicing machine, and potentially some prep items like knives and cutting boards. If you’re in the market for a juicer, I love this one. Below are some basic anti-inflammatory juice recipes to get you started. These are really just a guide, if they’re not exactly to your taste, feel free to play around with quantities and other additions. The instructions are the same for all of these – wash and chop your ingredients, juice them up, stir and serve! Simple! Check out this purple cabbage juice recipe for a drink with lots of fresh fruits and carrots to balance out the spicy edge found in purple cabbage. It may sound strange, but it works! Using plenty of the anti-inflammatory powerhouse turmeric root, this juice recipe uses the coolness of cucumber, the sweetness of carrot, and the tang of lemon to alleviate the potentially bitter taste of fresh turmeric root. Try this turmeric rich recipe when you’re suffering from an injury or infection. This juice recipe is a little on the sweeter side, with pineapple, green apple, and lemon taking center stage. Super inflammation fighters like celery and ginger round this recipe off to create a tasty, effective juice combo. This recipe is chock full of vegetables, herbs, fresh spices, with a citrusy twist to help your body fight inflammation. Containing some of the most lauded anti-inflammatory juice ingredients around, celery and turmeric, this green juice is a fairly low sugar option if that is a concern to you. This well-balanced juice recipe is a great mix of anti-inflammatory fruits, veggies, and spices. It uses several of the above ingredients, plus carrots and pears to create a unique flavor profile with incredible health benefits. This juice recipe combines equal parts spring greens and fresh fruits, plus flax seed and turmeric to create a tasty drink that can help fight inflammation. You can also add honey and ginger to improve the taste further. Calling for turmeric, ginger, pineapple, grapefruit, and celery, this juice recipe contains tons of anti-inflammatory ingredients. This recipe utilizes butternut squash, apples, and pumpkin pie spice to create a delicious, healthy anti-inflammatory juice. Try this juice combination in the fall when the apples and squash are in season (and therefore at their nutritional peak) and pumpkin pie spice becomes the flavour of choice. Inflammation is a natural bodily response, but too much inflammation can cause damage, not to mention pain. 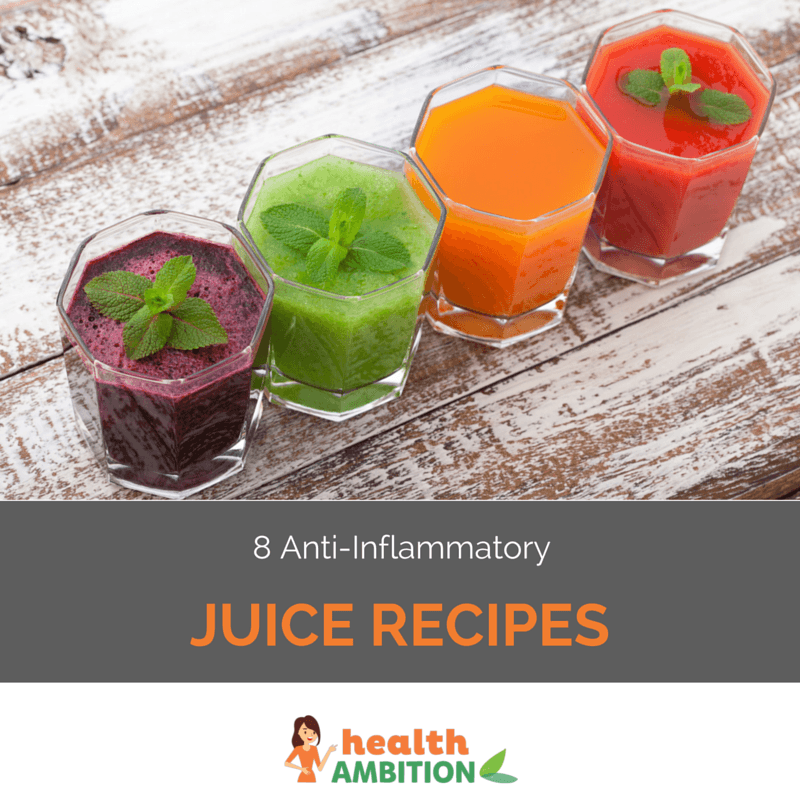 There are tons of juice recipes available to help reduce inflammation. If you’re feeling adventurous, try creating your very own combination of anti-inflammatory ingredients for a juice that is suits your taste buds and your symptoms. What combination would you put together? Let me know in the comments!